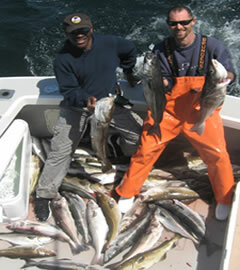 Fishing Charters for Tuna, Shark, Cod and Striped Bass in Massachusetts. 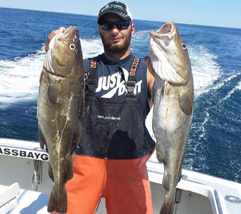 Fishing Charter Adventures from Scituate, Massachusetts. SEASON 2019 BOOKING NOW ! 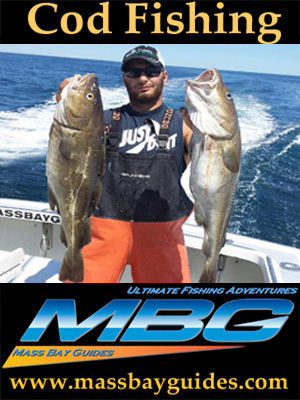 Mass Bay Guides is the Busiest Charter Fishing Company in Massachusetts. Our boats are fishing 7 days a week from May 1st to Nov 1st. Do not miss out on the best dates. Book Now for 2019! Gift Certificates with many pricing options. Bottom fishing on Stellwagen Bank is some of the best in the world. Come catch Cod, Flounder, Pollock, Redfish, Haddock, Mackerel and more. 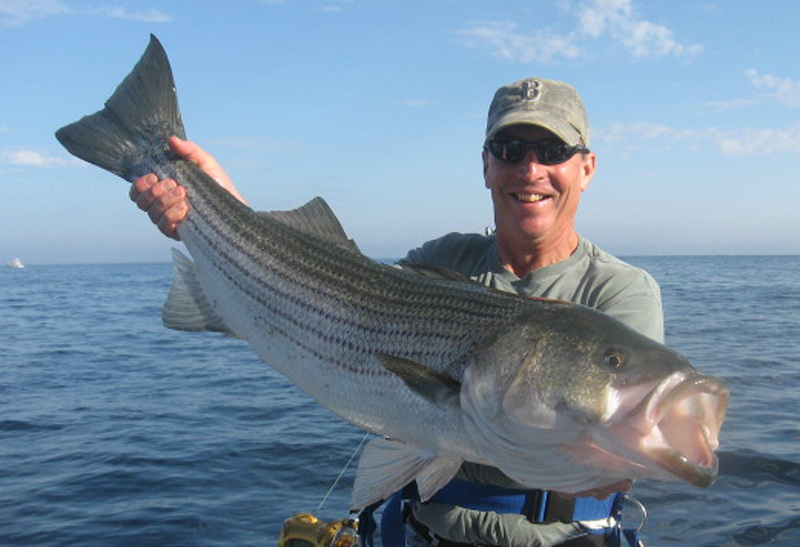 Come Striped Bass fishing Massachusetts! May, June and early July is the best in the world! 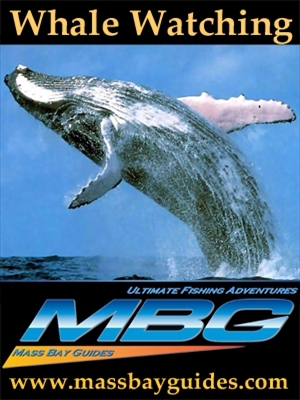 MBG is world renowned for our tuna fishing skills. We have the ability to put you on the Big One!. Massachusetts has some of the Biggest Sharks in the World. The Home of "Jaws"! The bottom fishing in Massachusetts is outstanding. The MBG boats are producing hundreds of pounds of meat with limit catches on almost every trip. You will never get skunked fishing for bottom fish like Cod, Haddock, and Pollock on Stellwagen Bank and the shoals of Cape Cod. Bottom fishing starts May 1st and the fishing is incredible. All Season long is the best time to get the freezer filled with tasty white meat. Our early spring cod specials are very popular. 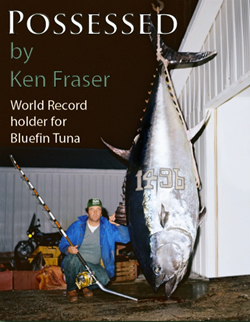 Massachusetts is world renowned for Bluefin Tuna. 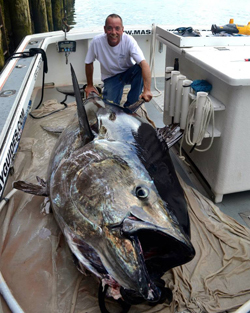 The Mass Bay Guides Crew has caught many Giant Tuna as early as the first weeks of June! Bluefin Tuna are known for their strength and speed and can reach weights of over 1,000lbs! Massachusetts Bay is bounding with Bluefin Tuna from June through November. 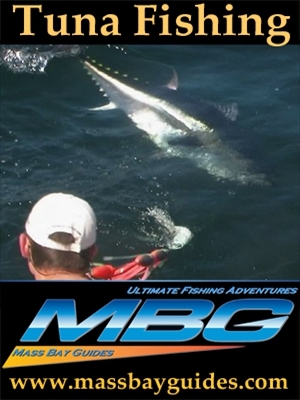 The boats from MBG are consistently hi-liners amongst the tuna fleet of New England. Our schedule is filling up fast. We have the most reasonable rates for tuna fishing. Make your reservations now! Click to see about Tuna trips. The Striped Bass Fishing starts here in May! The bass move in chasing schools of mackerel, herring, and squid and they are big ones! Our average fish weigh around 25 pounds. We catch fish in the 50 pound range every year. Mid June and Early July is world class. 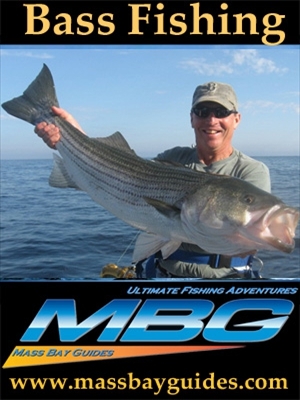 Mass Bay Guides provides both offshore and inshore striped bass charters. Get off the couch, take a day off and come out Striped Bass fishing this season. Book now for an adventure of a lifetime! 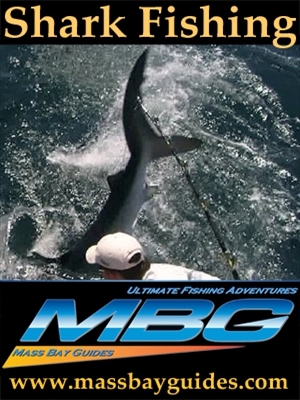 The Mass Bay Guides boats catch sharks from July through October every season. Our crew has proven they have the experience to catch some of the largest sharks in the world. Massachusetts is the home of "Jaws." 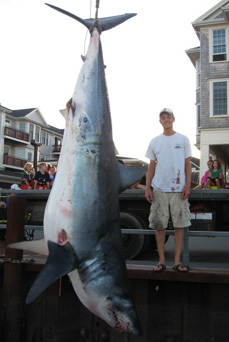 Past seasons have produced monster sharks on nearly every trip. We are expecting this season to be outstanding. People are booking July through October for some of the best Shark Fishing in the world! Click to see about Shark trips. Bass Fishing in Massachusetts. This video is in Japanese but the videography is incredible. These guys use super ultralight tackle and catch a few good size Bass. As seen on The Sportsmans Channel. Starring Conway Bowman and The Sears Boys. we caught some great Sharks and had some fun making Ford Commercials. Mass Bay Guides helps our scientists investigate the impact of the Gulf Oil Spill. 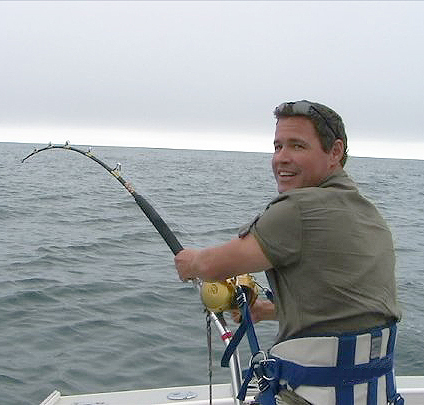 Jeff Corwin catches and tags a giant tuna for science. Mass Bay Guides also works closely with other scientist to help study species like Shark, Striiped Bass and Whales. Mass Bay Guides and Bruce Brothers Charters has teamed up to provide you with the best Bluefin tuna fishing in the USA and Canada. "Read More Here"
Call us! We will help you decide the best time of year for your fishing charter. Advice is free! We want you to have the best charter fishing experience possible. We have the experience to make it possible!